Please let me know if you have any comments or questions. 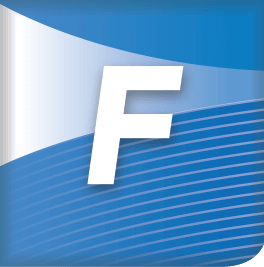 Are you looking for a way to track pipe support material without touching your isometrics or creating lists in Excel? Are you “touching” the isometrics every time you re-run a line because of the pipe support materials? Do you need to kit your supports for onsite installation? Over the years, ECE has explored many ways to attack the problem. In SUPPORTWorx, we feel we have found an excellent solution. SUPPORXWorx automatically adds parts to each 3D pipe support placed in the model using the CADWorx Pipe Support utilities. 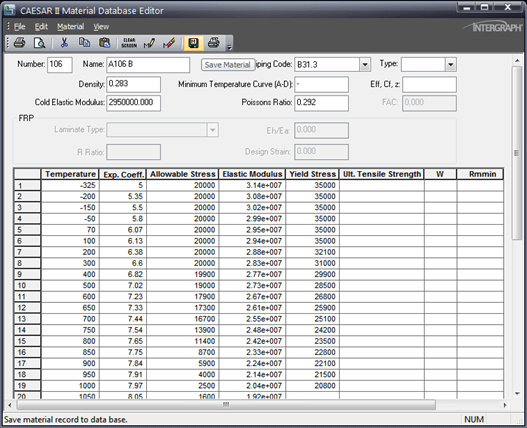 All the parts originate from the CADWorx Catalog, so there is no need for extra databases, worksheets, detail sheets, etc. In this way it centralizes pipe support component data. After running SUPPORTWorx, every pipe support component will exist as CADWorx components that can be included in material list on drawings and exported using standard CADWorx and ISOGEN features and functions. 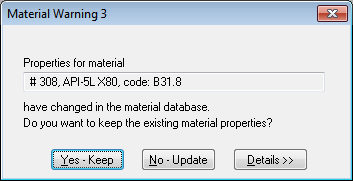 Typical CAESAR II material warning dialog box. 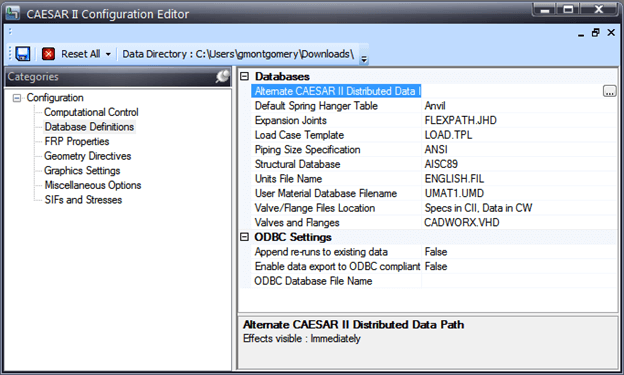 Basically, CAESAR II recognizes that there’s a difference between User A’s material input and what User B has in their material database, and is asking how to rectify the difference. If we clicked “No” at this point, then we’ve just reverted the material properties back to what User B has in their default database, which may not be what was needed for the project. The risk for potential issues is very high when a user selects this option and collaboration is seen as a negative. Fortunately, there is a simple way to avoid these risks and share settings globally across one project. Distributed Data Path is a networked System directory that multiple users can connect to. 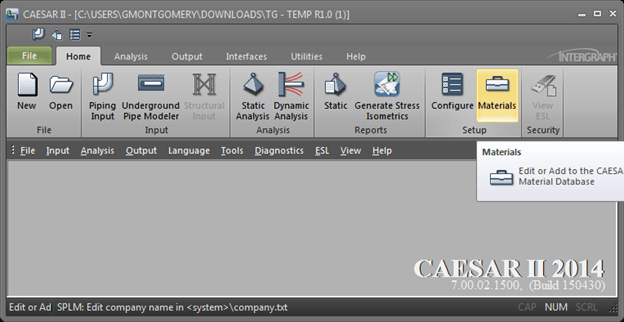 By default a user’s System directory is located at “C:\ProgramData\Intergraph CAS\CAESAR II\7.00\System”. Let’s walk through how to set up this option. Before we begin, let’s understand a very important distinction with the caesar.cfg file. There’s a caesar.cfg located in your “System directory”, as well as a caesar.cfg located in your current “data directory”. 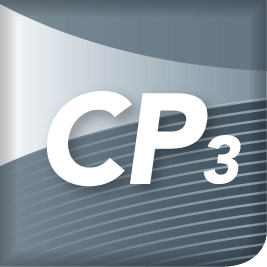 When you first open up CAESAR II, the large CONFIGURE button on the Ribbon will allow you to modify attributes for both the System and Data Directory *.cfg files. The System Data Directory is the one we want to move to the network. Navigate to the Configuration Editor from here. If I were to go to my Piping Input Screen, and then choose configure, I’m only modifying configuration settings for the current data directory. This means that the following steps that we are about to take to modify the caesar.cfg will need to be done from the main screen, not the piping input screen. Do not navigate to the configuration editor from here. Click on the three ellipses. 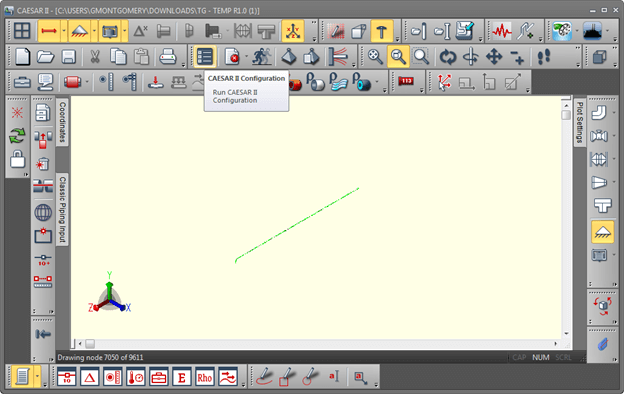 Click on SAVE, located at the upper left hand corner of the Configuration editor. Now we need to check to make sure we can read the new networked system directory. To do this, we will perform a check by renaming a networked data table that we can see. Navigate to your new System folder located in …\C2_Network_LOC\System, and find “UMAT1.UMD”. Copy this file, and rename it to “UMAT1_NET.UMD”. 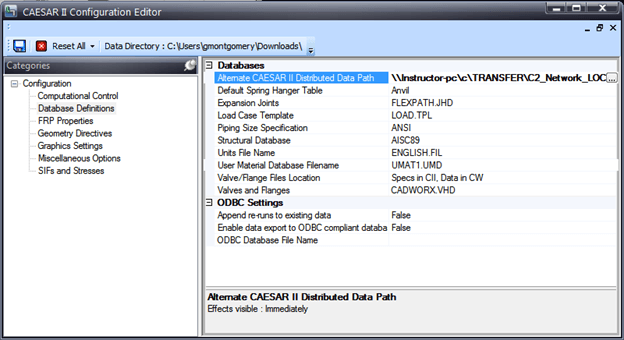 Back in CAESAR II, open up the configuration editor again. Tools> Configuration/Setup > Database Definitions. Find the value that says “User Material Database Filename” and choose the dropdown on the right hand side. You should see “UMAT1_NET.UMD” as a selection. If you do not see UMAT1_NET.UMD, start over with step 1 and try again. If you do see UMAT1_NET.UMD, then you are successful. A networked System directory has now been created. Open the directory in \\Instructor-pc\c\TRANSFER\C2_Network_LOC\ (which was created by User A). Click on “User Material Database Filename” and verify that you can select UMAT1_NET.UMD. This computer is now connected to the networked material database. Repeat these steps for any other computer you wish to connect to this same location. Some closing remarks on the behavior of CAESAR II in terms of project management. If you go to Tools > Open System Folder, this will open up the Networked system directory that you have created. No longer does this function send you to your local System directory while the Alternative Distributed Data Directory has been set. 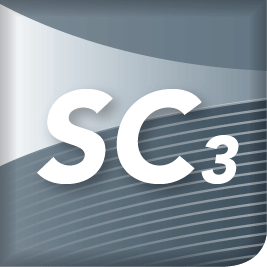 Now that you can edit a material database that is shared with multiple users, there is an important final step to take when adding or modifying materials. 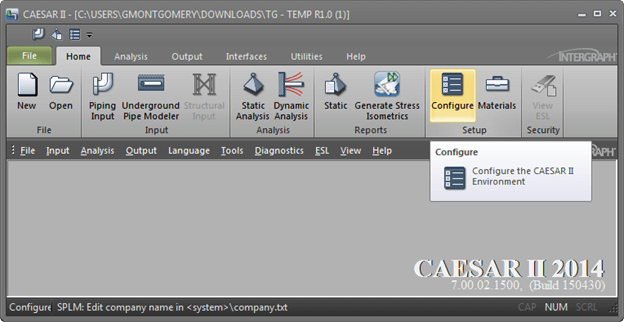 The *.UMD file can be modified in CAESAR II to add new materials by accessing the Materials icon on the Home tab. To learn how to do this, reference my earlier blog posts on the subject. This icon allows the user to edit the UMAT1_NET.UMD file. After you click “Save Material,” close the dialog, and then Close out CAESAR II entirely. Only then will a new UMAT1_NET.UMD file get generated with these new material properties. 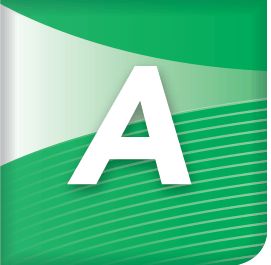 If you do not take this step and close out of the program, other users will not receive the updated attributes you have inserted into the material database. Now that a caesar.cfg file exists that can be pinged by multiple users, here’s a quick tip on how to record changes that you’ve made to the caesar.cfg as you develop a baseline for attributes for a project. 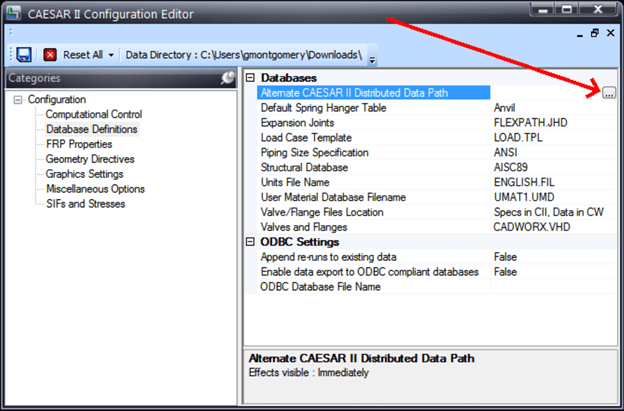 The way that CAESAR II “saves” a new configuration file, is by opening it up and overwriting 97 rows of data to the file “caesar.cfg”. If you place any data on the 98th row, you can effectively add comments into the *.cfg file to help document your project. Open up the caesar.cfg file located in your …\C2_Network_LOC\System directory. 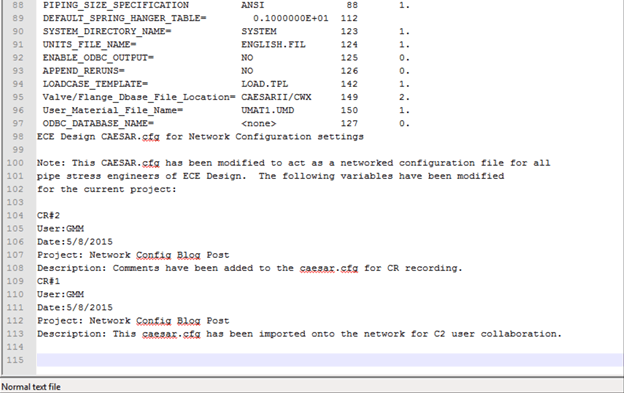 Scroll down to the bottom of the .cfg itself. On the 98th row, you can add in your own comments to this file. For example, the steps involved to create this post have been added as follows. Each time you save changes to the *.cfg, these changes will not be overwritten. 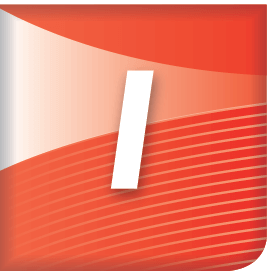 The CAESAR II 2014 Service Pack 2 is now available for download from Intergraph’s Customer Smart System System. Release notes can be found here. Select Previous Service Packs and Hot Fixes. For Sales or Support please contact us with any questions. When People Talk, Great Things Happen!